Republican presidential candidates former Massachusetts Gov. Mitt Romney, left, and Texas Gov. 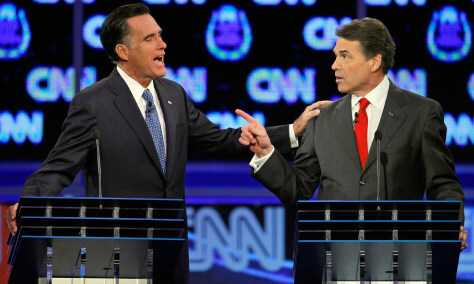 Rick Perry interact during a Republican presidential debate Tuesday, Oct. 18, 2011, in Las Vegas.